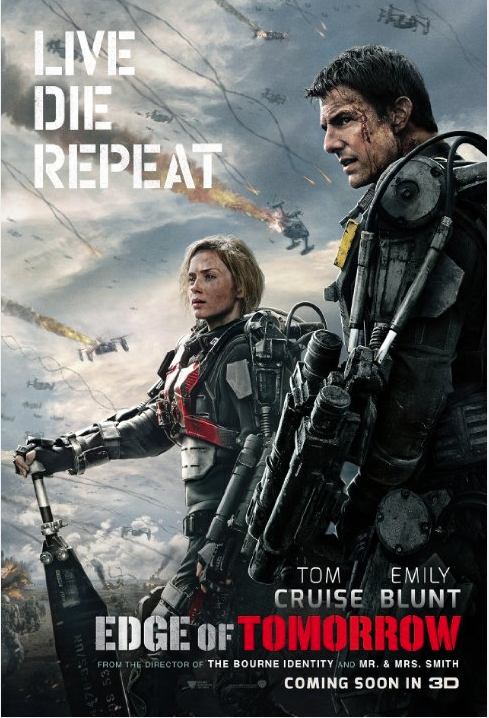 This entry was posted in Movie, Reviews, Trailer, War Movie and tagged Action, Emily Blunt, Military Sci-Fi, Movies, Review, Sci-Fi, Tom Cruise, War Movie. I haven’t seen this but I get exactly what you are saying. Mood is so important–esp in a film such as this. Thanks for bothering. Now I don’t have to. It could have been quite good, in a very action-driven kind of way, but they shouldn’t have added parody/humor. There’s so much to watch . . . Funny. I’m no fan of SciFi or Tom Cruise, but I liked this one for the same reason I liked Groundhogs Day: they are both about personal growth and second chances. The Tom Cruise character begins the movie both as a coward and incompetent. With each repeated death, he gains a little in courage, wisdom and intellectual flexibility. By the end of the movie, he is nothing like the character he was at the beginning. Also, the invasion scenes were compelling: reminiscent of The Longrst Day and Saving Private Ryan. I agree about the invasion scenes. The movie had it’s moments and there was character development but I wasn’t keen. Good to hear another opinion, though. I too found that the idea was speard a bit thin. Here’s the trailer. Looks good. Thanks a lot. I’ll have a look. Just released in the UK on dvd earlier this month. Cool. Thanks Rayearth. I’ll certainly have a look.